Bad news travels fast… How fast? Who is most likely to talk negatively about your brand? There is a renewed emphasis in healthcare today on patient experience. And there should be! Because if a person has a bad experience at a hospital, they will most likely spread the word. Over 75% of consumers tell about bad experiences to their family and friends. Certainly more than the 42% who would recommend a product or service they really like. This according to LoyaltyOne’s COLLOQUY report. The study also found that even 31% of loyal advocates of a brand would pass along information concerning bad experiences they’ve had with that brand. “One lesson is clear, hell hath no fury like a Champion scorned,” stated COLLOQUY managing partner Kelly Hiavinka. News about bad experiences travels and travels fast. In fact, less than one-fourth of all bad experiences are kept quiet. 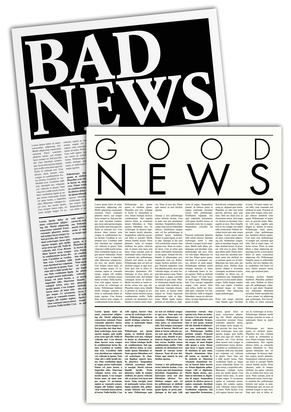 Affluents are more likely to spread the bad news than any other group. Seniors are the least likely. Young adults and women are strong spreaders as well. There’s just little chance a bad experience won’t make the rounds. So each bad experience is multiplied. And a series of bad experiences can certainly damage a hospital’s image and reputation. And note that it takes many more positive experiences to make up for the bad ones. Marketing of your hospital is essential. And very useful. But it can’t make up for bad experiences. And the consumer has so many avenues to share the bad news. It’s not just word of mouth anymore; it’s all the conversations in social media that can quickly spread the unhappy news about a brand. Hundreds or even thousands of others can read one bad word on a social networking site. Much more than just a casual conversation with friends or acquaintances. So the best thing a hospital can do for its brand is minimize the bad experiences. Even in healthcare, customer service is essential to a brand’s health. A hospital can have the latest technology, the best doctors and the finest facilities, but if it delivers bad service the brand will suffer. It will create a chain of conversation that will be difficult to counter and overcome. Today’s emphasis on customer service and customer satisfaction is certainly well placed.